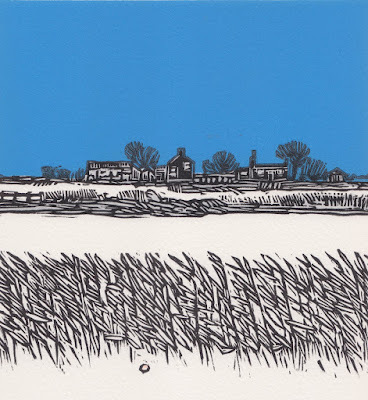 A new lino print and the very first of a series of eight small prints whose subject will be the landscape of the West Norfolk Fenland. The farms, the rivers, the drains, the cottages, the orchards and the all-powerful and colourful big skies of Fenland will provide the simple colour. 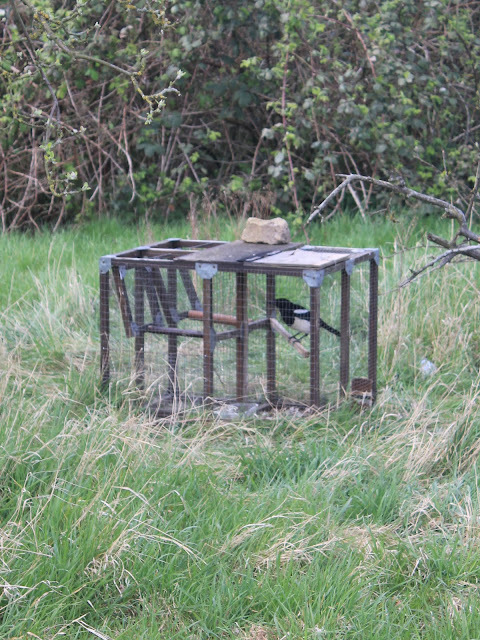 Some of the prints in the series will be new subjects and others will be favourite places revisited and re-worked. 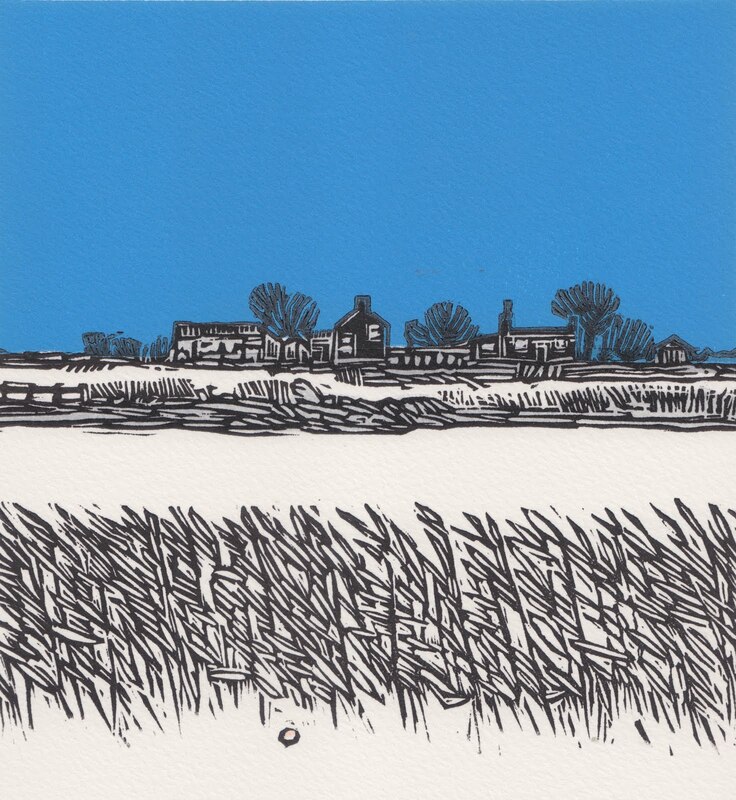 Big Blue depicts the Fenland landscape after a fall of snow. The entire series will be printed in three colours on 300gsm Somerset Satin White with an image area of 15cm x 15cm in editions of 15 prints. All of the prints are available for purchase from the Two Terriers blog via the comment box or the email address in the 'About Me' section. Excellent stuff! Look forward to the others.